Those whacky developers at Popcap Games have released another frustratingly addictive and equally entertaining puzzle game. 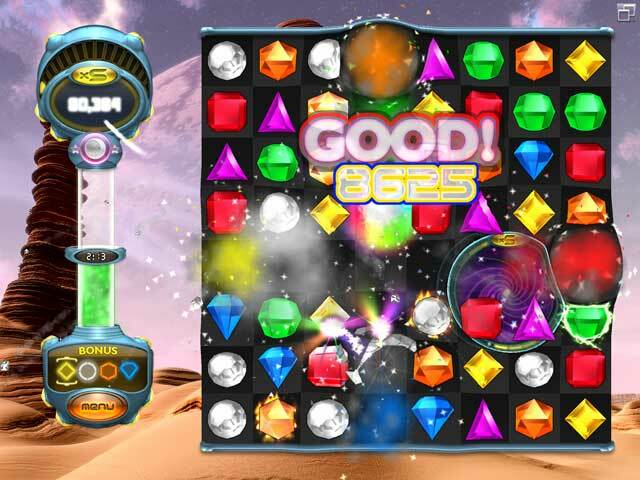 Bejeweled Twist is dubbed a casual game which means it can be played by all types of people and not just gamers and this latest incarnation is no exception to the rule. 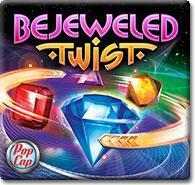 Based on the original Bejeweled game where players must match certain colours and gems together, the “twist” to Bejeweled Twist is that the player can now rotate or “twist” the pieces. As you rotate these pieces, you get a true sense of satisfaction when you successfully complete the level and it's ironic how entertaining and addictive this game is. It's simplicity is the key! 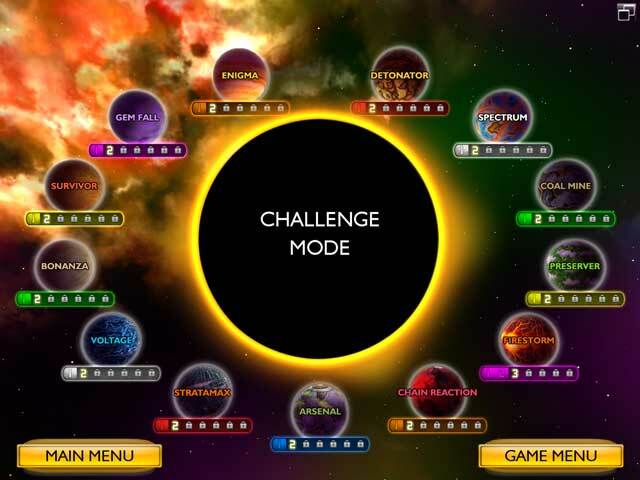 However as you progress, so does the difficulty and speed of the game which does become quite frustrating, albeit in a good type of way. Once again, these casual games from Popcap are a difficult genre to review, probably because of the straightforward and simplistic nature of the title, however they thoroughly entertaining to play. The control system of the game is the mouse which is used to twist and rotate these pieces in order to unlock the current puzzle. For instance, by clicking on the gem, it will twist to another colour which can then be linked to the same colour. In laymen's terms, Bejeweled could be considered the Escher game of Tetris. 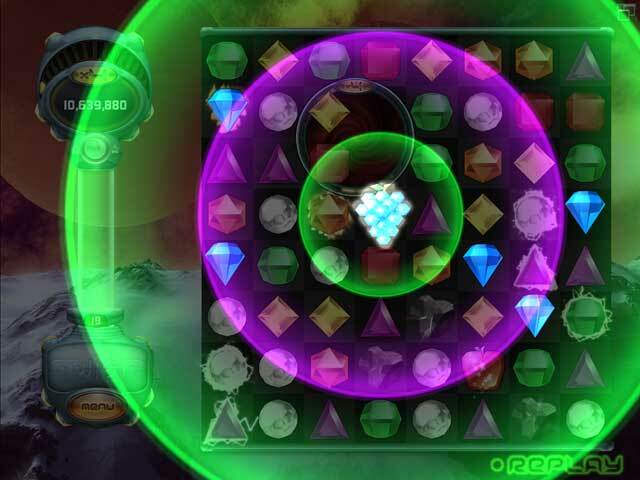 The best part of the gameplay is that Bejeweled Twist can be played for a short amount of time, like a few minutes or a thorough gaming session of hours upon hours and another key feature is the replayability which means you could be playing this game almost forever.The game boasts a great scoring system as well which allows the gamer to either beat their high scores or other gamers and add in some special items such as bombs and this gives the game an extra level of excitement. Graphically, Bejeweled Twist is a rather colourful and cartoon-esq looking game that will keep most gamers, both casual and the like glued to their screen. Of course the star of the series are the colourful gems themselves that move well with the gaming environment and the player. Although the sound effect and music department is a little lacking, it’s probably a good move for Popcap as it does not ensure the player gets distracted but allows you to become fully immersed into this addictive world of puzzles. If you are a fan of the series, than this is another game for you and even if you have never played it and would like to “play” something different, than we could happily recommend this strange puzzle game. It’s fun, it’s frustrating and it’s fantastic!